On Port Canaveral day Lumiere's and Rapunzel's Royal table offered open seating for dinner. Guests were able to walk up to either and ask to be seated similar to how lunch is at Lumiere's during the day. Additionally, Cabana's was open the latest offering a Buffet. The KTTW card included a unique 12 digit code on the back bottom right that could be entered into the My Disney Experience app to make Fastpass+ selections in addition to the 3 anytime Fastpass+ already loaded onto the card. The Disney Cruise Line app stated this was not possible in small print, but guests had success doing so the morning of the WDW day. The Disney Magic was decorated all for Halloween on the High Seas until the Port Canaveral day. While in port, the decor was changed over to the Very MerryTime. 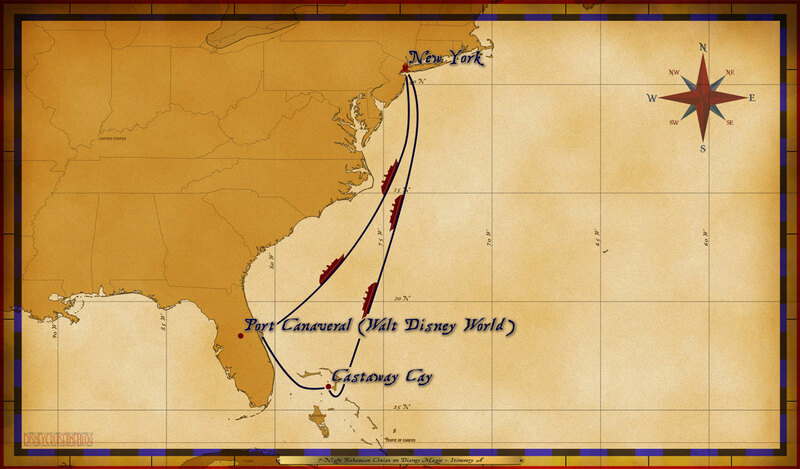 FB group for travelers on the Disney Cruise Line sailing of the Magic from Manhattan New York City to Castaway Cay Bahamas and Port Canaveral Florida visiting WDW Walt Disney World Orlando.